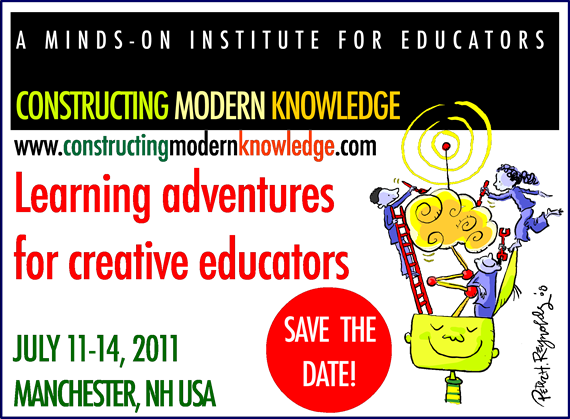 Alfie Kohn, Deborah Meier, Dr. James Loewen & Peter Reynolds are confirmed to speak at CMK 2010! Bridging Differences - a emi-weekly critical writing on school policy issues - a must read! You can find many of my favorite education book recommendations organized here and a growing new collection here. School Wars, a cover story by Gary Stager in GOOD Magazine. September/October 2008 issue. 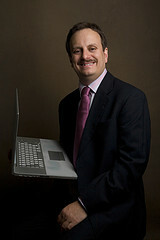 For 27 years, Gary Stager, an internationally recognized educator, speaker and consultant, has helped learners of all ages on six continents embrace the power of computers as intellectual laboratories and vehicles for self-expression. He led professional development in the world's first laptop schools (1990), has designed online graduate school programs since the mid-90s, is a collaborator in the MIT Media Lab's Future of Learning Group and a member of the One Laptop Per Child Foundation's Learning Team. Mr. Stager's doctoral research involved the creation a high-tech alternative learning environment for incarcerated at-risk teens. Recent work includes teaching and mentoring some of Australia's "most troubled" public schools. Gary was Senior Editor of District Administration Magazine and Founding Editor of The Pulse: Education’s Place for Debate. He is currently Visiting Professor at Pepperdine University, an Associate of the Thornburg Center for Professional Development and the Executive Director of The Constructivist Consortium. In 1999, Converge Magazine named Gary a "shaper of our future and inventor of our destiny." The National School Boards Association recognized Dr. Stager with the distinction of "20 Leaders to Watch" in 2007. Dr. Stager was a keynote speaker at the 2009 National Educational Computing Conference before an audience of more than 4,000 educators. He was also a Visiting Scholar at The University of Melbourne's Trinity College during the summer of 2009. Recently, Gary was the new media producer for The Brian Lynch/Eddie Palmieri Project - Simpatíco, 2007 Grammy Award Winner for Best Latin Jazz Album of the Year. Dr. Stager is also a contributor to The Huffington Post. Gary has worked with schools, conferences and other institutions around the world and welcomes the opportunity to speak at your next event or design effective professional development services for your school.